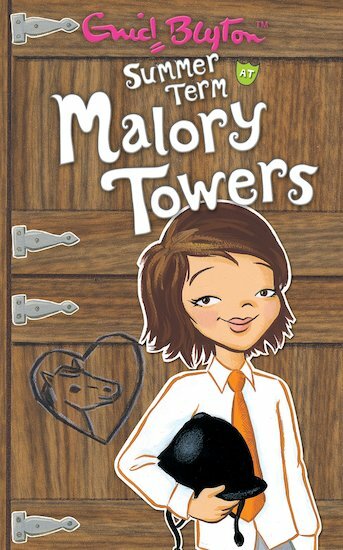 ‘Summer term at Malory Towers’ keeps the tradition of the Malory towers series: being brilliant books! Like all Malory Towers books, ‘Summer term at Malory Towers’ was full of summer adventures, mysteries and unlikely and new friendships! Before the mysteries have even started, I’m thrust in to this book! I also like the tension in this book because (like other Malory towers books), they take a long time to explore and discover the incident! This book was great! The mysteries, the dilemma’s….it makes me wish that I went to boarding school myself! This book is so fun that I almost wish I was at boarding school. In the summer they get to go swimming in a deep pool on the edge of the sea and tend to their animals. Someone is stealing things though and they try to solve the mystery… who is the thief…read it and find out!